How Far is S.I.S Sintra? Sintra can definitely be called the “Crown Jewel“ of Portugal. Dotted with castles and a multitude of beautiful resorts Sintra is said to be one the most stunning places to visit. The Architecture that is prevalent has been described as thought provoking, inspiring and romantic. It comes as no surprise that Sintra has been declared a world Heritage site by the UNESCO as well. 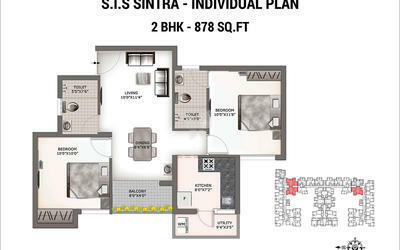 S.I.S Sintra is designed to embody a luxurious lifestyle. The Property radiates class and is made to retain the gaze of all onlookers. 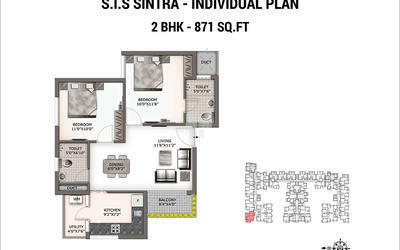 By combining the acclaimed architectural style of Sintra with the sensibilities that S.I.S is known for. S.I.S Sintra will definitely be a place you are proud to call home thus staying true to our motto, ‘Turning Lands into Landmarks’. 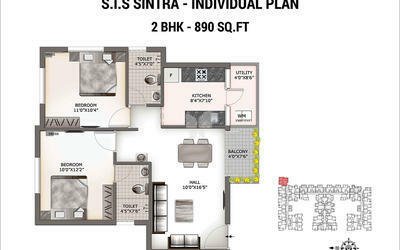 S.I.S Sintra is on 1.5 acre property with 4 blocks, Stilt + 4 configuration and a total of 126 magnificent apartments themed on a heady mix of indoor and outdoor amenities providing peace, serenity and tranquility. GST Road also known as SEZ Corridor, is the fastest growing location in Chennai with bustling infrastructure development. 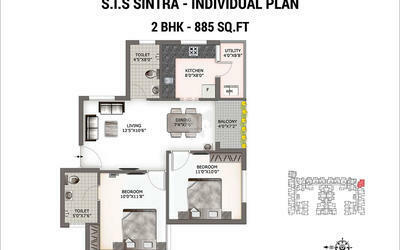 S.I.S SINTRA is located just 5 Minutes' drive off the GST Road at vandalur, offering a serene and calm surroundings, best suited for a peaceful living yet with easy and convenient access to all the amenities and services that defines and exemplifies quality living. Tambaram MEPZ - 40,000+ Emp. 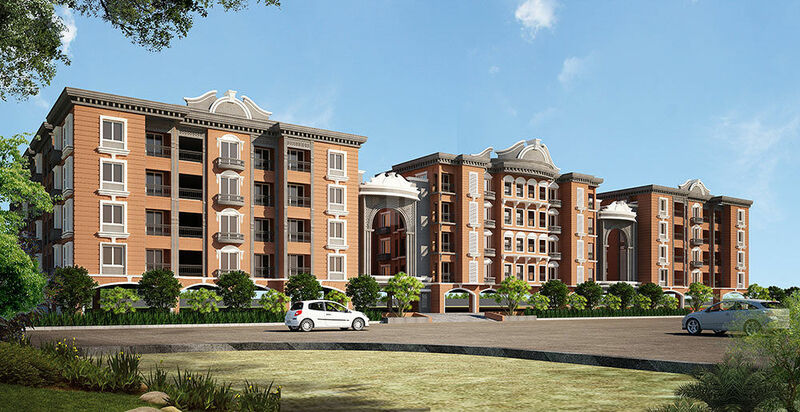 Mahindra World City - 60,000+ Emp. Sri Ram SEZ - 10,000 + Emp. Faurecia - 4000 + Emp.